Ajax ace Hakim Ziyech is reportedly a transfer target of Super Lig giants Fenerbahce and Serie A outfit AS Roma, however the 25-year-old’s agent, Rene van der Dijp, is hopeful that his client will attract tangible interest from Premier League counterparts Arsenal or Liverpool to bolster the dynamic midfielder’s stature. It’s believed that Fenerbahce are great admirers of Ziyech and that they have also been monitoring the Moroccan international for over a season already. Although following Van der Dijp’s particularly damning statement – as per Voetbal Primeur – Sarı Lacivertliler, and indeed Roma, seemingly hold very little weight in the proposed bout for his signature. “I hope that there will be a better club than Roma – an Arsenal or Liverpool.” He earnestly expressed. Fellow English top-flight adversaries Everton have also been touted as a potential destination, however Van der Dijp swiftly opposed the notion of Ziyech swapping Amsterdam for the Merseysiders. “That would be crazy for that boy, he should not go to Everton,” he added. 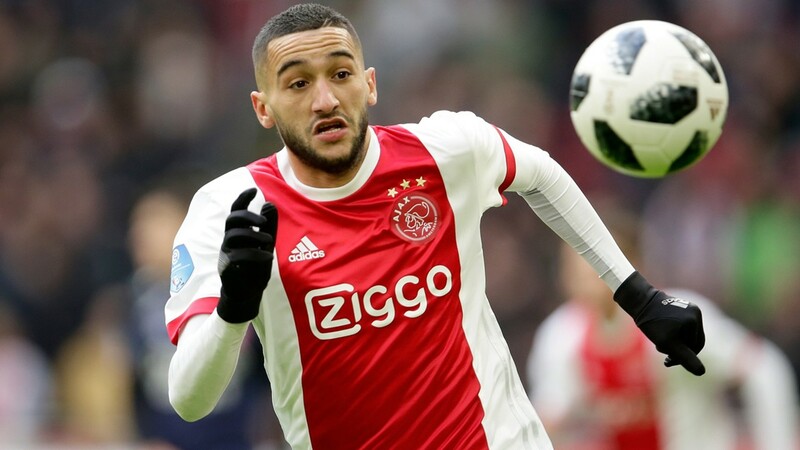 No contact has allegedly been made by either the Gunners or the Reds regarding a swoop for Ziyech, although as both parties may venture into the January transfer window to bolster their respective ranks, the productive protagonist could be on the duo’s winter shortlists if he continues to effectively create and deliver in the Eredivisie. Share the post "Ajax ace’s agent wants Arsenal or Liverpool to snag client amid notable interest"